Serving Our World For 20+ years! Hopefully on this page we can answer some of your "Most Frequently Asked Questions". 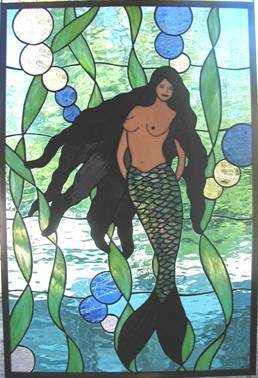 FAQ #1 - How is stained glass made? 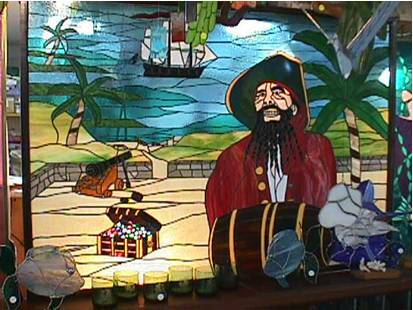 FAQ #2 - How is Fused Glass made? Fat chance! Frankly most people don't care how either are made. They just want to be sure that it is glass & not plastic. Rest assured, the items on the website are NOT plastic. We have the cuts & burns to prove it! 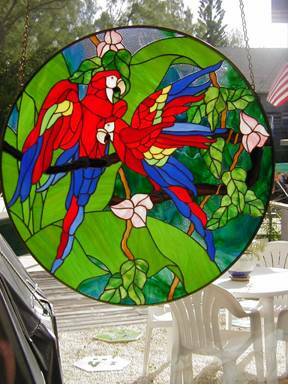 On a more serious note, most of you are familiar with stained glass. 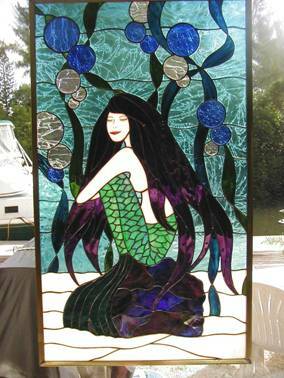 The largest difference between stained & fused glass is the use of a kiln & multiple layers of glass. 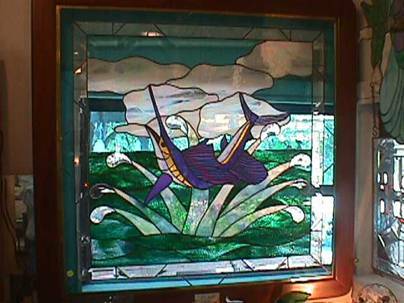 In fused glass the top layer (or layers of glass) is cut & then put on a base sheet of glass & is heated in a kiln to 1500 degrees or higher. Dimensional fused glass art is reheated a second time in the kiln to above 1325 degrees. The kiln door is then opened & the glass is pushed & pulled in order to give the glass it's final shape. FAQ #4 - How long before I receive it? Turn around time is about 1 to 2 weeks. "Depending on the size of the order". We could go on, however we want you to enjoy this website. If you have any more FAQ's, please feel free to contact us.